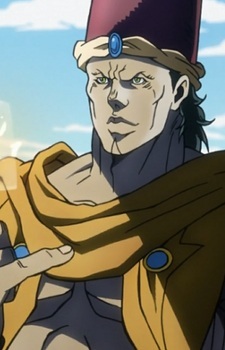 He, Along with Messina, was a Ripple Master serving Lisa Lisa to train Joseph Joestar and Caesar Anthonio Zeppeli. He was known to be very harsh and demanding when training, as is commented by Joseph. He is killed by Esidisi before his final training fight with Joesph Joestar.